In January 1981, MOS Technology, Inc., Commodore's integrated circuit design subsidiary, initiated a project to design the graphic and audio chips for a next generation video game console. Design work for the chips, named MOS Technology VIC-II (graphics) and MOS Technology SID (audio), was completed in November 1981. A game console project was then initiated by Commodore that would use the new chips�called the Ultimax or alternatively the Commodore MAX Machine, engineered by Yash Terakura from Commodore Japan. This project was eventually cancelled after just a few machines were manufactured for the Japanese market. The C64 made an impressive debut at the January 1982 Winter Consumer Electronics Show, as recalled by Production Engineer David A. Ziembicki: "All we saw at our booth were Atari people with their mouths dropping open, saying, How can you do that for $595?" 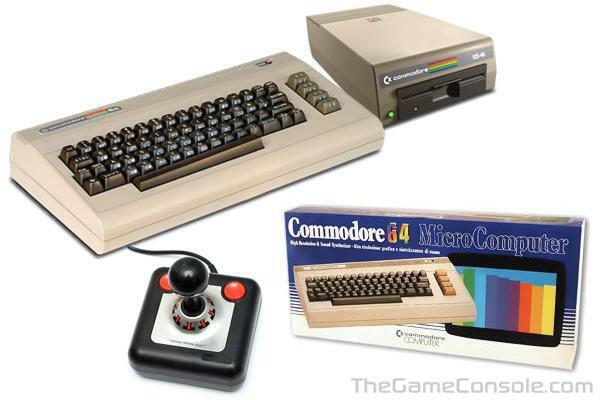 The answer, as it turned out, was vertical integration; thanks to Commodore's ownership of MOS Technology's semiconductor fabrication facilities, each C64 had an estimated production cost of only $135.